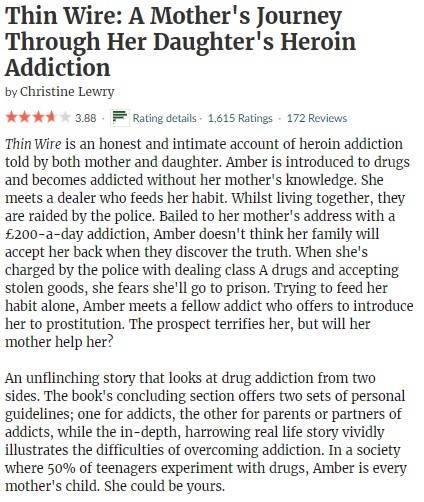 This entry was posted in 2018, 3 Star Rating, Book Reviews, Yvo's Shorties and tagged 3 star rating, 4 star rating, addiction, attachments, book review, chicklit, christine lewry, contemporary, drama, drugs, family, memoir, mental health/illness, non fiction, published in 2011, published in 2012, rainbow rowell, romance, tbr jar pick, thin wire, Yvo's Shorties by Yvo. Bookmark the permalink. I agree with your thoughts on Attachments. I don’t think it’s the best Rainbow Rowell book but I thought it was a decent read! Good to hear I wasn’t the only one! Def. will check out Attachments. Great post Yvo! Great post Yvo. I have never read anything by Rainbow but I really like the sound of Attachments. 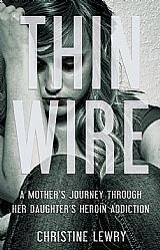 Adding it to my TBR! 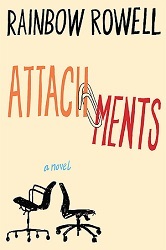 I personally prefer her young adult books, but Attachment was still very entertaining. 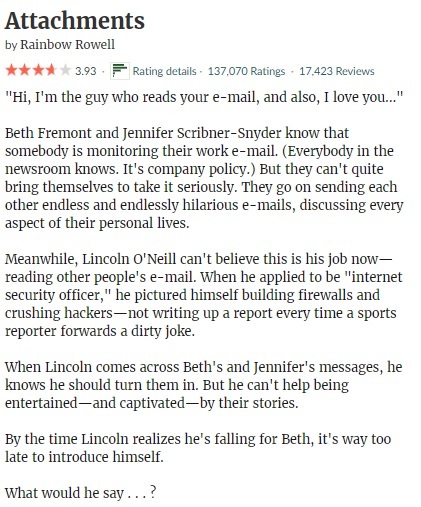 It’s not my favorite Rowell, but Attachments is without doubt a very entertaining read if you are in the mood for a cute contemporary.